Skip to the forex demo contest 2019 listing. Common Rules in Forex Demo Contest. What To Consider When Choosing A Demo Contest. Trade As If Trading With Real Money. Play Big Not Play Safe. Check Forex Penguin Listing Daily. Forex trading is not something new for most people. It is one of the most popular financial markets in the world. And it offers many opportunities for traders. One of them is the forex demo contest or forex demo competition. Forex demo contest is one type of forex competition which involves a demo account. A demo account is not a trading account. You can win the contest without forking out your hard earned money. It is a great way to learn about forex trading without risking any money. At the same time, you can win some real money. A forex demo contest is somewhat similar to virtual trading. In a contest like this, there is usually no entry fee. You are just required to follow a few basic rules and regulations. These contests are created for traders who are new to forex trading. When you are unsure of your trading skills and you want to test your knowledge, brokers conduct these contests to attract new clients to sign up and start trading with them. After all, forex trading involves high risks, therefore, be warned. Demo accounts are not live accounts. So traders do not carry any risks because it is not real money. However, there are real money prizes. These real money prizes can be withdrawn as cash prizes or used to open an actual trading account. The purpose of the Demo contest account is for traders to increase their level of experience. Every demo contest has their own set of rules and regulations prepared by the specific broker. The traders have to adhere to them. However, every broker will put up a set of his own rules and regulations which would differ from the rest. Due to the different set of rules and regulations set by the respective broker, it is important to carefully understand these rules before signing up for any kind of demo contest. One major rule for all forex brokers is that one participant can only have one account in that particular demo contest. To be more precise, there can only be one account for one IP address. Besides this, the other common rule is, after you have signed up, you cannot withdraw from the contest unless it is over. Failure to follow the rules and regulations can lead to disqualification of the participant. It is normal to have a number of terms and conditions because no contest is complete without them, so the best thing that all the participants can do is to read all the terms and conditions, understand them and then only sign up. In case you have any query regarding the rules, then it is better to contact the customer support team. As in any competition, it is crucial to know what to do. We have come out with a list of the criteria which you should know before taking part in a forex contest. There are a lot of forex brokers in the market. A lot of them started with online brokerages to get cash. So, it is important to pick a genuine and reliable broker from the crowd. There are definitely some genuine brokers that run contests, so look out for them. If you want to trade, then the operations should be easy. The trading platform has to be easy. Ask yourself from where you will be trading as this would help you to determine the right device for trading. Either your laptop, tablet or handphone. Different demo contests have varied terms and conditions. Remember to check all the conditions before signing up for a demo contest. Make sure that the contest runs in your country. You really must read and understand all the terms and conditions thoroughly. You can set a margin level for your demo accounts. This account can help you to leverage the deposits and bonuses in order to earn more than your investment. Managing margins can help you win big but it can also cause you heavy losses. If you really want to be the winner of the forex demo contest, here are some useful tips for you. While trading, a lot of people will have a carefree attitude because they think that this is not their money. Always view the money as real money. This attitude will help you in your investment so that you can benefit from demo contests. Before you even start trading, you should identify the strategy that you are familiar and comfortable with. Developing a viable action plan can maximize your profit and also minimize the risk. Once the strategy is determined, do not deviate from it. Nobody can trade for 24 hours so it is important to choose the right trading hours. The best thing to do is to trade at a time when the market has a high liquidity level. This is the best strategy that can be used while trading in the market. Forex contests are different from forex trading. Which is why one should aim to win a decent amount of money and stop worrying. Look for open trades with a higher stake. You should try and win big rather than play safe. Choose a forex contest which has a number of prize winners, this way your chances of winning will increase. Rather than winning, just focus on playing. Try and enjoy the contest and put your enthusiasm into it. Forex contests are a great learning platform, so try to learn and concentrate on learning. Sometimes winning is not the ultimate purpose. Test various forex contest platforms and enjoy the contest. It doesn’t matter if you win or not. Forex demo contests are a great way of learning about the trade; you just need to register for them beforehand. It is quite important to clear all the registration for the participants and you should not forget the deadline for registration. It is important to avoid a common error of mixing up the IP address. You should use only a specific IP address. Otherwise, you can be disqualified or be regarded as a fraud. There is an unending list of forex demo contest. Every broker is offering such a contest at different periods of the year. 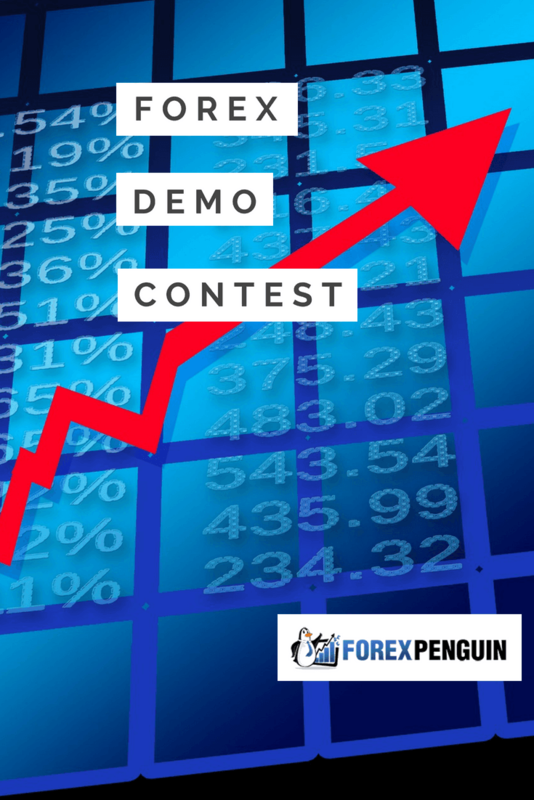 ForexPenguin.com helps its users to identify the latest demo contest and its listing is updated on a regular basis. After you are comfortable with the contest, you can actually sign up for a real forex account with Forex No Deposit Bonus. AIMSFx is offering $500 no deposit bonus for its spartan challenge live mt4 account. Forex Euroclub weekly holds a contest for Forex traders with a prize fund of 6,000 rubles. Earn your money making no investments! Start from scratch together with IAFT! Forex contests on demo-accounts.